Chris Evan and his beard on the set. Captain America star Chris Evans is already hard at work on his next project now that Avengers: Endgame is nearly ready to hit theaters. Evans was spotted on the set of his upcoming TV series, Defending Jacob, which is being made for Apple TV+. Evans shaved his beard for Endgame but it looks like it’s making a comeback in the Apple TV series. 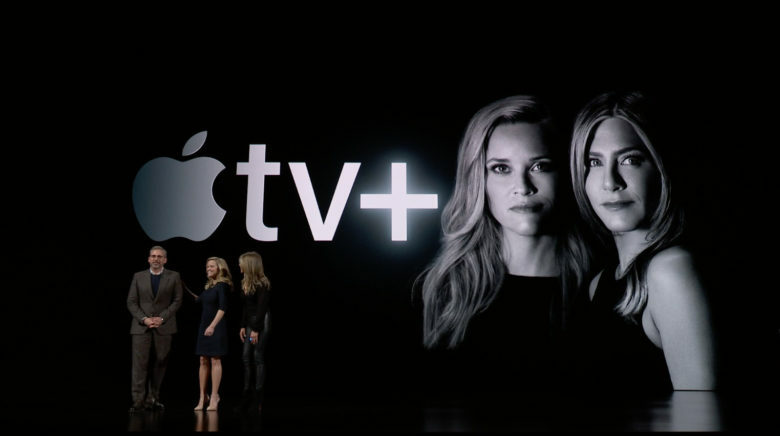 Jennifer Anniston and Reese Witherspoon announce their show for Apple TV Plus. Jennifer Aniston, Reese Witherspoon and Steve Carell appeared on stage at today’s “Show Time” event to talk about The Morning Show, the comedy series starring Jennifer Aniston, Reese Witherspoon, and Steve Carell. Sounding like a mixture of Anchorman and Aaron Sorkin’s Sports Night, the series follows behind-the-scenes shenanigans at a morning news show. It will particularly focus on “[pulling] back the curtain on the power dynamics” between men and women in the workplace. Coming in the #MeToo era, it certainly looks pretty good timing. 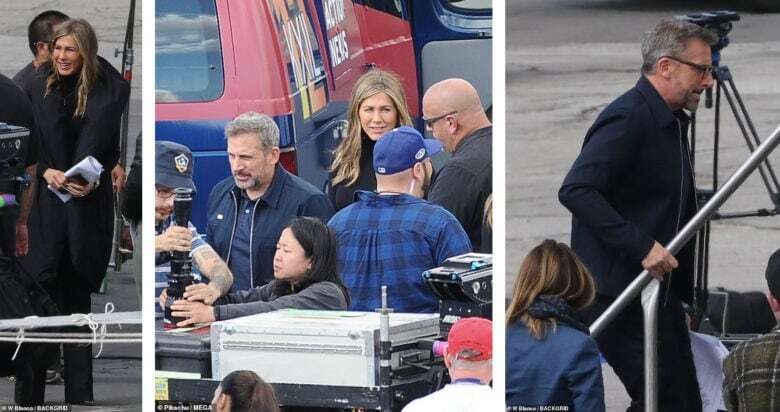 Former Bruce Almighty co-stars Jennifer Aniston and Steve Carell were spotted reuniting on the set of their new Apple TV series about a morning TV show news crew. The show started principal photography back at the end of October 31 but this is the first time we’ve seen photos of the two actors on set. Both Aniston and Carell are making their returns to TV after launching successful movie careers following Freinds and The Office. Don't expect them to officially debut until later in 2019, however. 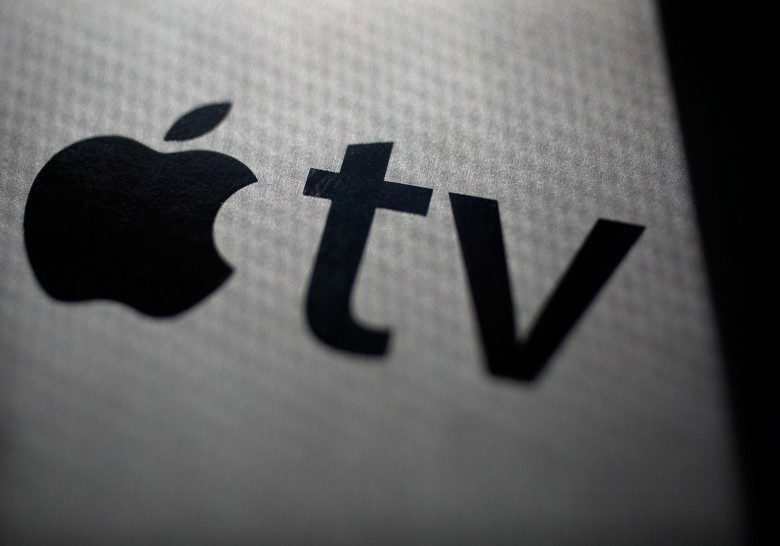 Apple’s March 25 media event will be dedicated to services — and that will include the first glimpses of video content from Apple’s original TV series. While we’ll get a look at some video clips, however, customers shouldn’t expect the series to debut immediately after the event. 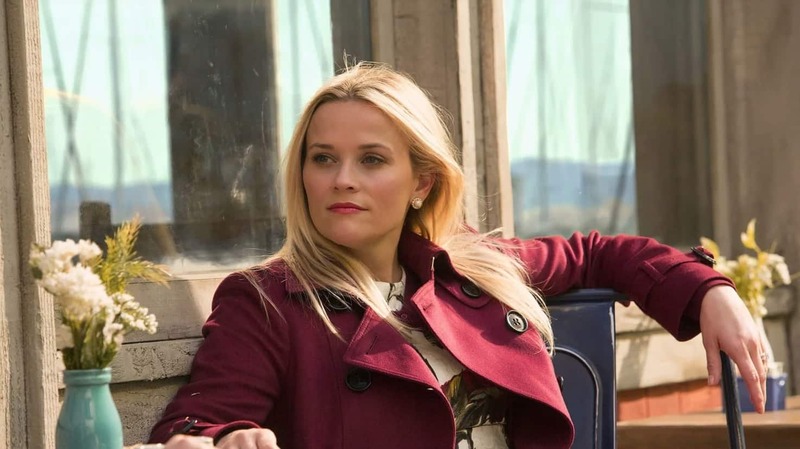 Reese Witherspoon is playing a huge role in Apple's original content creation. Some of the biggest names in Hollywood are coming to Silicon Valley for Apple’s first big event of 2019. Apple is rumored to be planning a late March keynote where a slew of new services will be unveiled. To help with its pitch to customers, Apple reportedly asked some of the stars from its original TV shows to join the festivities. Reese Witherspoon could earn a massive payday from Apple. Apple is spending upward of $1 billion on its original TV shows, and it’s not skimping when it comes to star salaries. According to a recent report, Apple is paying out some of the highest salaries to any actors in television shows. It’s even exceeding the amount paid to the stars of shows like The Walking Dead. It’s another example of how, when you’re a company the size of Apple, you can afford to throw around some serious cash to bring in top talent. Steve Carell will play a news caster that's becoming irrelevant. The full cast of Apple’s morning TV show comedy is starting to take shape after two more actors have signed onto the project. Billy Crudup and Gugu Mbatha-Raw have joined the cast for the untitled Apple TV series that lists Reese Witherspoon and Jennifer Aniston as both executive producers and stars of the show. This sounds like the perfect role for Carell. 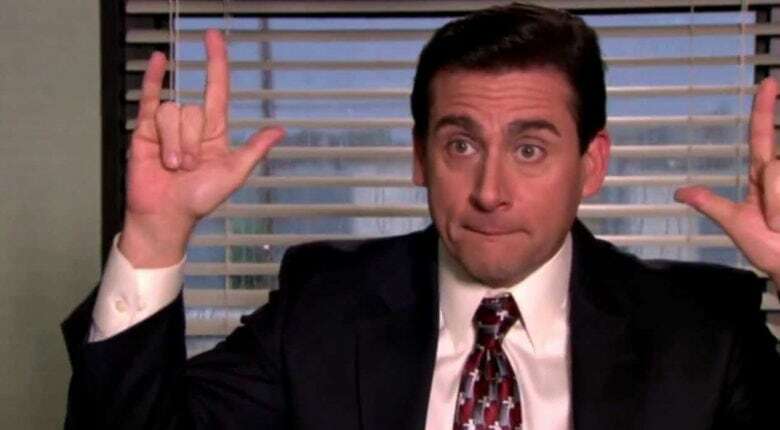 Steve Carell is finally making his return back to the small screen after reportedly signing a deal to join one of Apple’s new TV shows. Apple struck a deal with Carell to star alongside Jennifer Anniston and Reese Witherspoon for its comedy TV series about a struggling morning TV show. The role will be Carell’s first since starring in The Office. 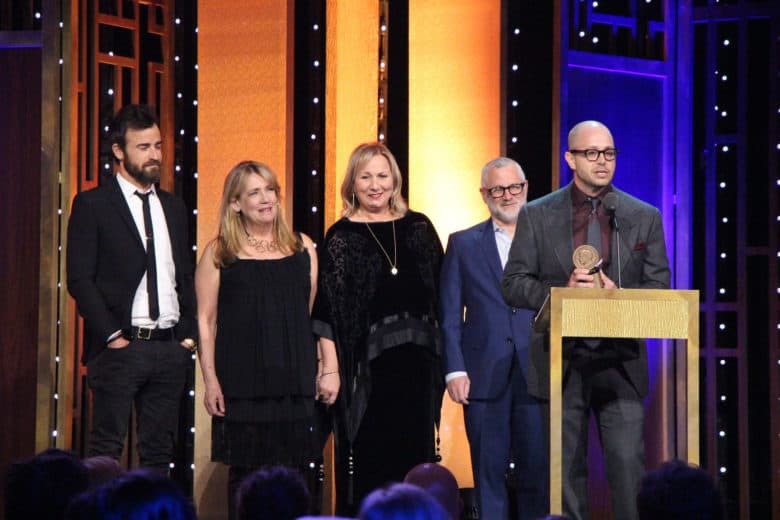 Producer/director Mimi Leder, center, worked on award-winning series The Leftovers. A director known for ER, The West Wing and Shameless episodes, and even the Deep Impact disaster movie, will go behind the camera for one of the many TV shows Apple is producing. Mimi Leder reportedly agreed to take on the upcoming program starring Jennifer Aniston and Reese Witherspoon. The drama, which doesn’t yet have a name, will be set behind the scenes at a fictional morning TV show. 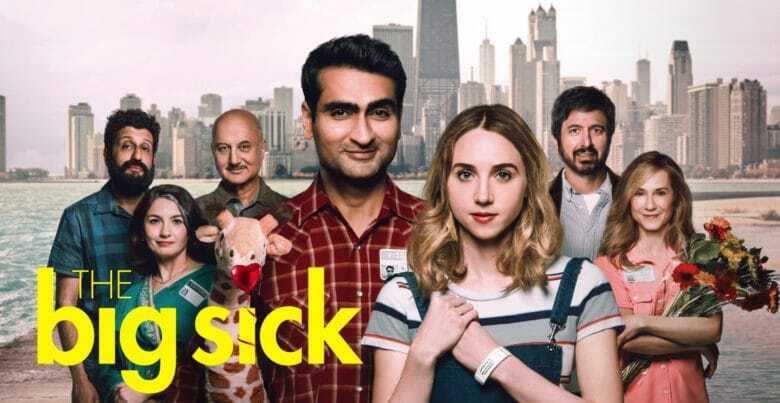 Kumail Nanjiani and Emily V. Gordon are writing a TV show for Apple. Immigration is one of the hottest issues in Washington D.C. this week and with a little help from Apple, the issue is about to take over Hollywood too. Apple is developing yet another original TV show called Little America that’s being written by Silicon Valley star Kumail Nanjiani and his partner Emily V. Gordon.